Take a trip back to 1985, when the American Drag Racing Association, formerly campaigned as the American Hot Rod Association, staged their Springnationals event at Tulsa International in Tulsa, Ok. 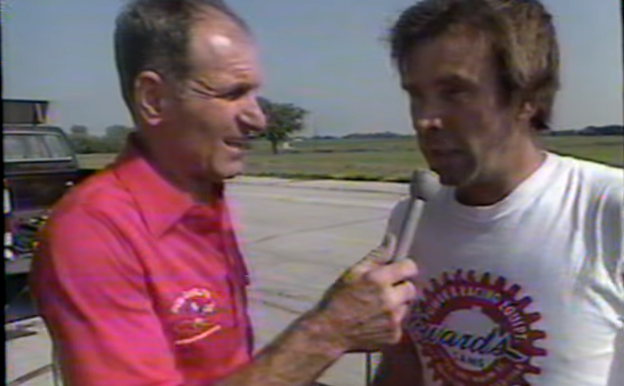 This is the Top Fuel portion featuring Don Garlits as the pit reporter. Get an inside look at the latest project from RJ Race Cars. This '55 Chevy was built for the Robinson family. In this partial car build, RJRC completed all of the fabrication work, including a welded chassis, mounting the body, full carbon fiber interior, and a rolling suspension. The Robinson's explain how they look forward to painting, wiring, and finishing the car themselves before taking it to the race track next season. 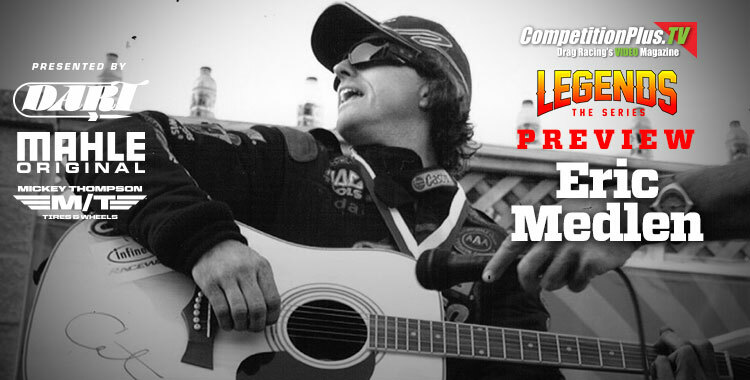 It’s been ten-and-a-half years since a freak accident during what should have been a routine test session took the life of rising Funny Car star Eric Medlen and put into motion a father’s quest to transform personal tragedy into meaningful change in race car design. In this, the debut episode of Legends: The Series, Season Four, John Medlen talks about his son’s passion for life, his affinity for people and how his pursuit of a dream ultimately landed him in the seat of one of the world’s most powerful race cars and made him a six-time NHRA tour winner. “(Driving) was something he wanted to do very, very, very bad,” Medlen said of his son, who was just three races into his fourth pro season when he died at age 33. “I did everything I could to talk him out of it (but) I could see that’s where his heart was. That’s what he wanted to do.” Nevertheless, overcoming his own grief in the aftermath of the accident was a slow and very painful process, one in which he insists Eric played a major role. “We all get to choose the path we take in life,” he said. “You’ve gotta make the best decisions you can, but it’s your life. It’s a time that God has given us on this planet and you get to pick. We have an arrival date and an ending date and there’s a dash between it all. We get to pick how we live that dash. 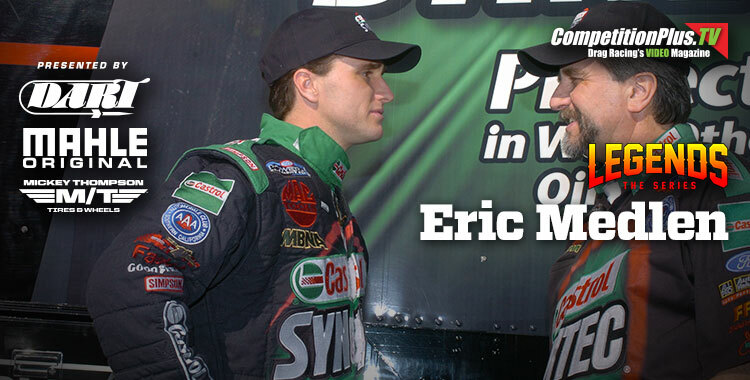 (Eric) was a perfect example of living (that dash) to the fullest." STORYTELLERS AT CPTV - NICKY BONINFANTE TELLS THE STORY OF "I DID A BAD THING"
Idle hands are the devil's workshop, and for one Top Fuel team those idle hands brought out the devil himself in the form of alcohol and dynamite. Nicky Boninfante, a former storyteller champion, tells the story of a former teammate who brought out hellfire via a toilet. Read more about STORYTELLERS AT CPTV - NICKY BONINFANTE TELLS THE STORY OF "I DID A BAD THING"
On a balmy afternoon in March 2007, in Gainesville, Fla., life changed for many people. For John Medlen, a tire failure and subsequent crash, eventually cost him his only son. Those who knew Eric Medlen all agree if there was a young man who left an indelible mark on drag racing it was him. Medlen lived his life like there was no tomorrow. Loving all he could, caring even more and showing passion for the straight-line sport in an unparalleled fashion. This is just a preview, but it provides a glimpse of the full story, told by the one man who knew him better than anyone else in this world. Pro Modified veteran Danny Rowe will have a new car for 2018. Recently, Rowe dropped by RJ Race Cars/Quartermax to talk about forthcoming 2018 Camaro. 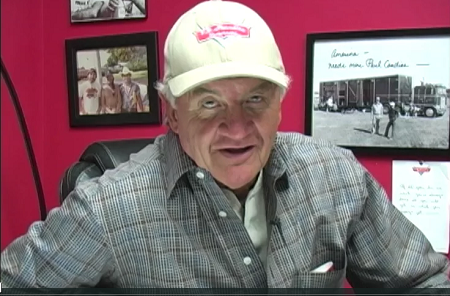 STORYTELLERS AT CPTV - STEVE GIBBS: WAIT FOR IT, WAIT FOR IT - BOOM! A new video series from the makers of the Legends: The Series, CompetitionPlusTV presents the best stories of drag racing as told by the legends themselves. In this episode, former NHRA head man Steve Gibbs talks about his glorious days at Irwindale Raceway and a track vehicle with the most awesome backfiring ability. Read more about STORYTELLERS AT CPTV - STEVE GIBBS: WAIT FOR IT, WAIT FOR IT - BOOM! Behold the Gasser. 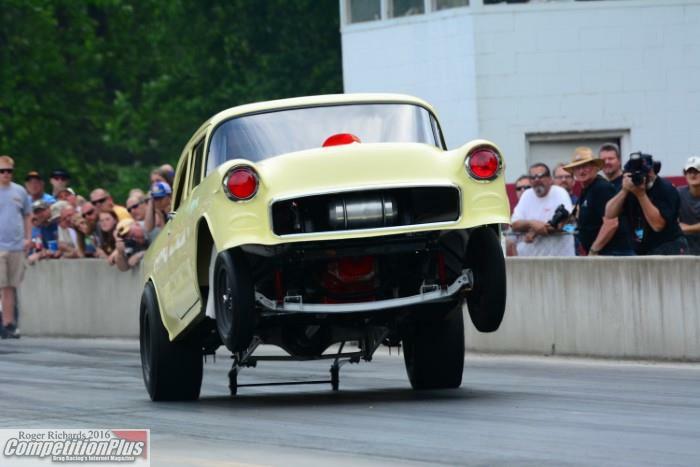 In the 1960s, the Gasser was to drag racing what today's Pro Modified or Drag Radial cars are. They were entertaining, fierce and unpredictable. Quain Stott has given up a lot to maintain at least one small pocket of period correctness in drag racing's modern nostalgia crazy. If you want to see the closest to what they were in the 1965 - 1967 era, then you want to drop in for a South East Gassers event. A new video series from the makers of the Legends: The Series, CompetitionPlusTV presents the best stories of drag racing as told by the legends themselves. In this episode, past Top Fuel champion Richard Tharp talks about the day the feds come looking for him regarding an appointment he missed - Vietnam. Tharp discusses the role the Vietnam War had in saving his life. This video features nitro action from Great Lakes Dragaway in Union Grove, WI. There are some classic rides in here including the Funny Cars of Gene Snow, Fred Mandoline and Kelly Chadwick. The dragsters include Ma and Pa Hoover and other Midwestern regulars.